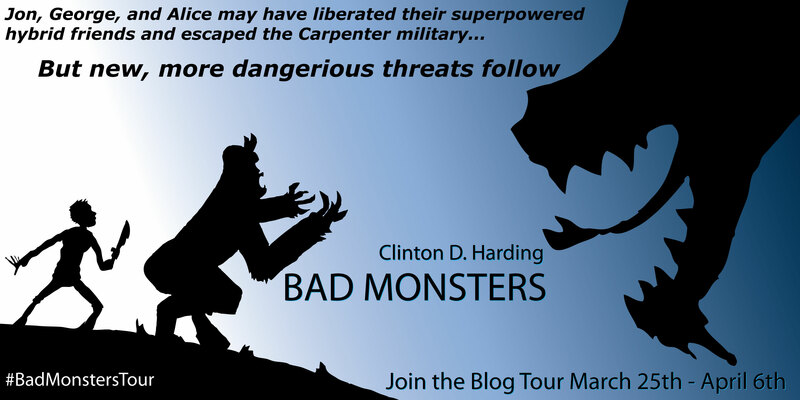 Just a note to let you know that we’ll be welcoming back author Clinton Harding in March, as part of his blog tour to celebrate the release of Book 2 in the Bad Monsters series. Check out our previous features with Clinton here, or visit his blog to find out more about him and his writing (here). This entry was posted in Events and tagged bad monsters, blog tour, Clinton D Harding. Bookmark the permalink.